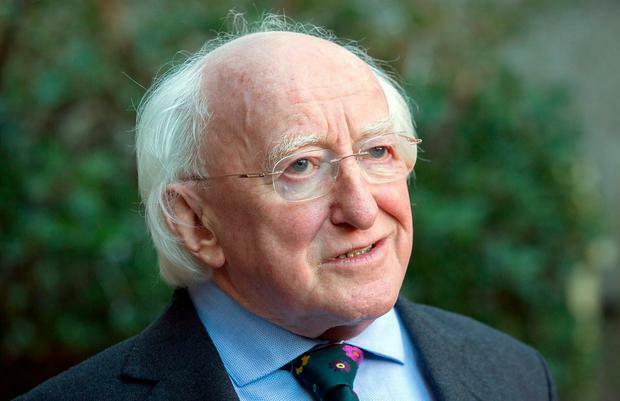 PRESIDENTIAL hopeful Joan Freeman has written to local authorities asking them to speed up their nomination processes in order to give candidates a fair chance of challenging Michael D Higgins. The founder of Pieta House warns that waiting until the summer break to convene special council meetings will make it difficult for potential candidates to put a proper campaign in place. In the letter, seen by Indepenedent.ie, Ms Freeman notes that some local authorities have indicated they intend to wait until after the Government moves an electoral writ to hold a meeting. She says would means “prospective candidates’ hands are tied by the Government in progressing individual campaigns to compete in the Presidential race”. “Without an indication of support from Councils it will prove extremely difficult to raise the necessary finance and put in place adequate personnel to establish campaign plans were candidates forced to wait until September 10. “I am therefore requesting that you consider holding a special meeting and consider passing a resolution that your Council hear my petition/presentation for a nomination as a candidate for the forthcoming Presidential election in advance of the formal Presidential Order by Government,” Ms Freeman wrote. She adds that if councillors facilitate a speeding up of the process it will allow all potential candidates “fully prepare” and will also afford voters “a democratic choice”. Her attempt to inject some movement into the campaign comes after three potential candidates ruled themselves out in the space of 24 hours. Senator Gerard Craughwell, former GAA president Liam O’Neill and barrister Noel Whelan have all dropped out of the race.